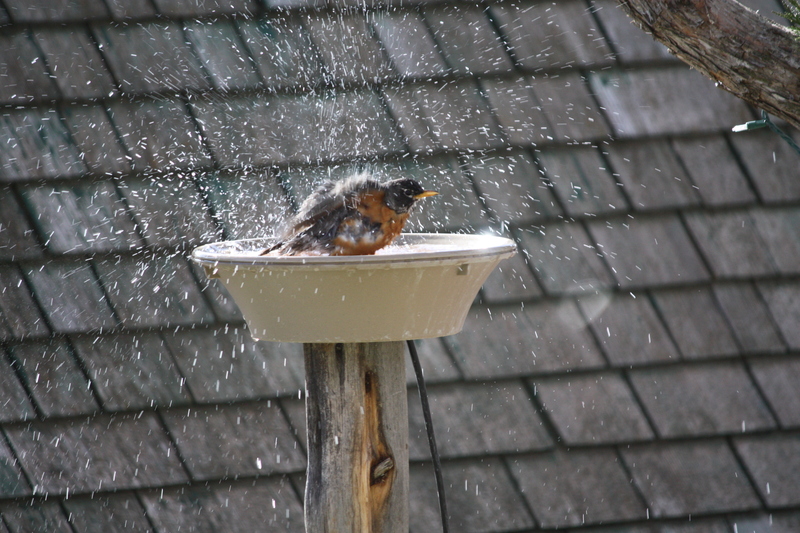 “Ah, warm water for my bath!” . . . . 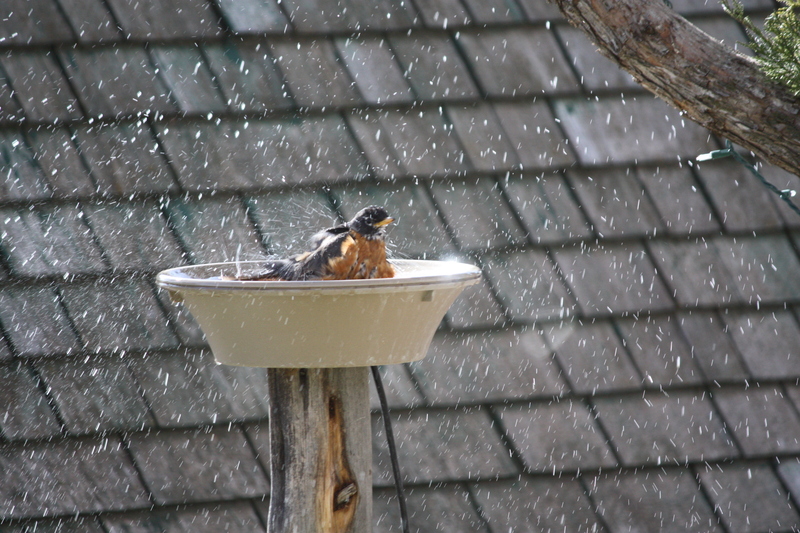 This Robin is having a grand time catching a quick bath in the heated water bowl. It’s been a long winter, and chances are there has not been another “warm bath” in recent weeks. “splish splash, taking a bath!” . . . . This energetic bird will soon drain the bathtub at this rate! “This is too much fun – think I’ll go for another dip!” . . . .
A recent visitor to the feeder varies from the typical House Finch with red markings that can be seen most of the winter. 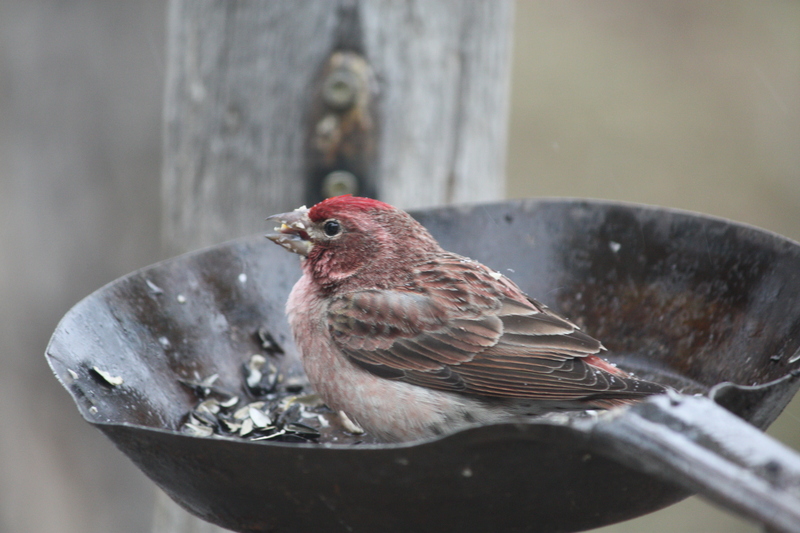 We identified this little finch (seen below) as a Redpoll, likely a male with his pink breast and bright red cap. 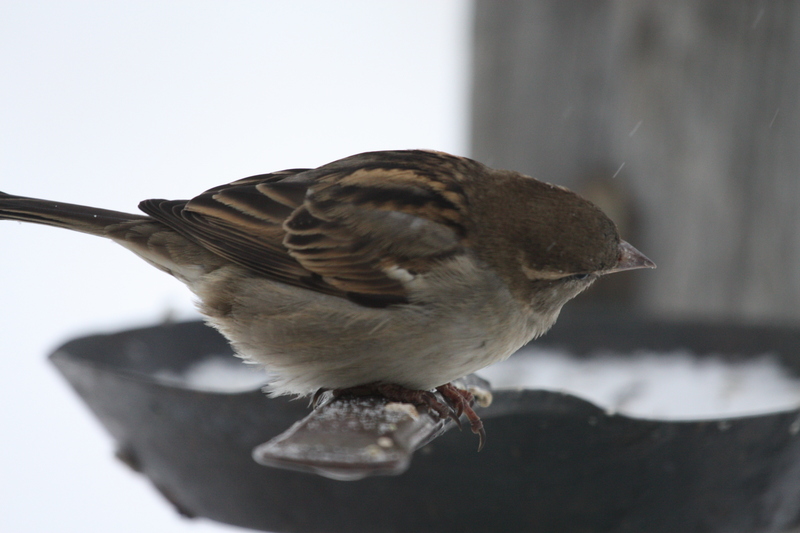 “A skillet filled with vittles!” . . . .
Sparrows are constant companions throughout the winter and greet me every morning from the branches of a pine tree outside the kitchen window. “Bird brunch!” . . . . 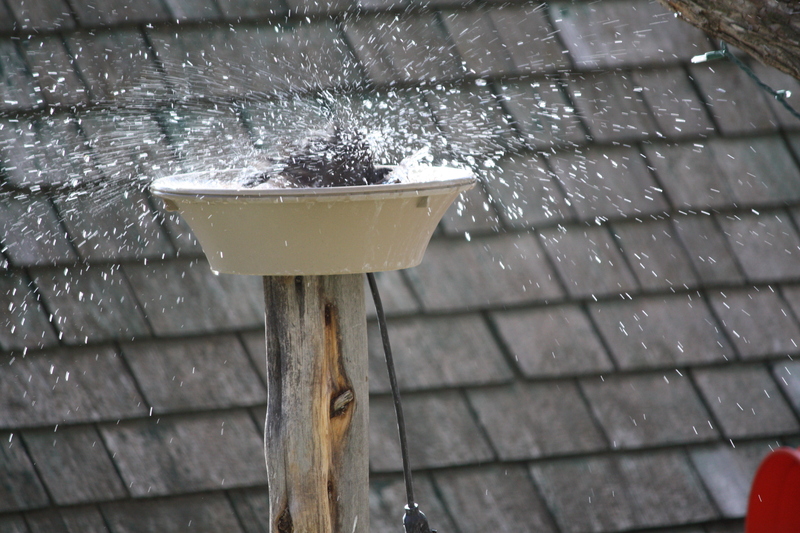 This entry was posted in Wildlife blog and tagged bird bath by bygeorge. Bookmark the permalink. What a treat to see your birdies. You’ve reminded me I need to purchase a heated water bowl . . .